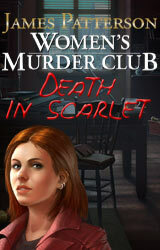 Women's Murder Club: Death in Scarlet is a unique blend of seek and find, light adventure and puzzle games combined with an all new tale from America's #1 storyteller, James Patterson. In this thrilling 'page turner' of a game, players take on the roles of homicide detective Lindsay Boxer, medical examiner Claire Washburn, and ace crime reporter Cindy Thomas to solve a series of ghastly murders in San Francisco. All New Womenâ€™s Murder Club Storyline â€“ An absolute 'page-turner' of a storyline created in conjunction with megaselling author James Patterson. 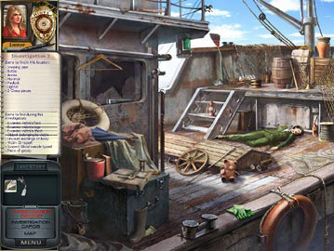 Features the Beloved Characters from the WMC Novels and TV Show â€“Play as the characters from the best-selling Womenâ€™s Murder Club books. 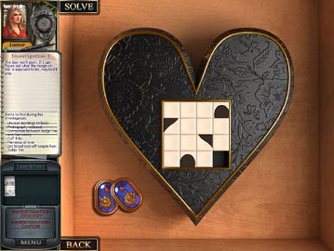 Designed by Award-Winning Game Designer Jane Jensen â€“ Designed by award-winning designer Jane Jensen in conjunction with James Patterson. 18 Unique Locations â€“ Players will hone their skills in a wide range of beautiful settings throughout San Francisco! 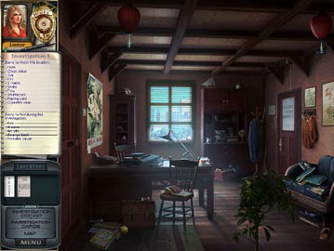 Nine Unique Investigations â€“ Each investigation includes new puzzles to solve in addition to challenging seek and find levels. Breathtaking Artwork â€“ Amazing graphics capture the spectacular beauty and gritty heart of modern urban life in San Francisco.